A hog roast is a delicious idea for wedding food, and it falls directly in the abyss between a formal sit-down meal and a casual buffet. With hog roasts, a pig is slowly cooked on a spit, which creates tender, juicy, tasty meat. It is then carved up and can be served in a whole variety of ways. This is a much cheaper option than most sit-down meals, but it's real fun and very tasty. 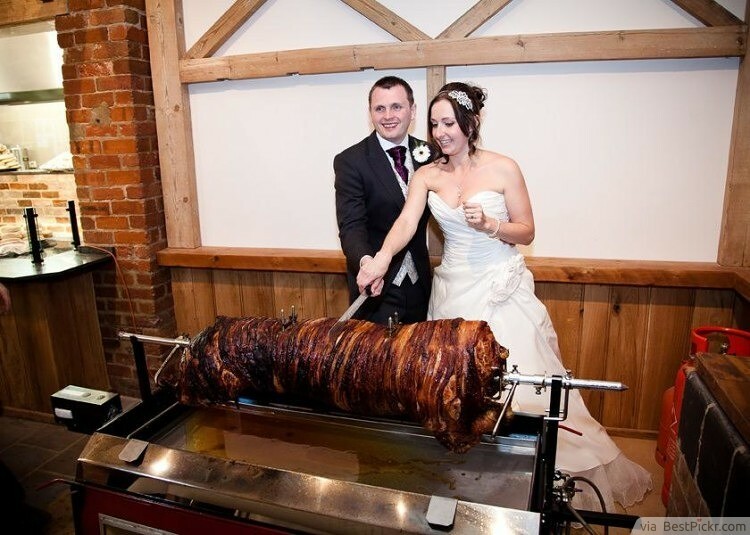 Of course, it can be cooked and served either indoors or out, so hog roasts are perfectly suited to weddings of all kinds!